Celebrate your engagement with one of the most respected names in bridal design with this ring from the Vera Wang LOVE collection. This piece is a unique take on the classic solitaire engagement ring, known for its timeless appeal. 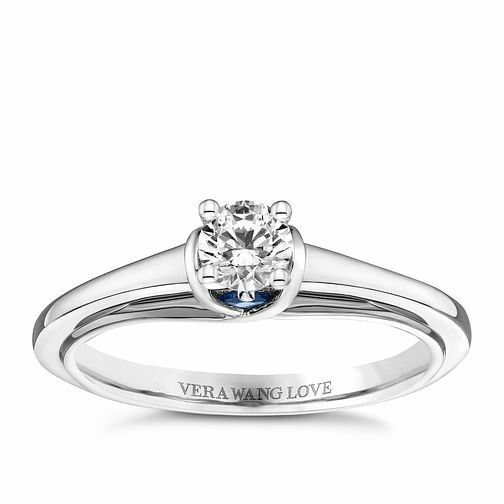 A simple platinum band gracefully reveals the diamond in the centre, and accented by the Vera Wang's signature sapphire underneath for a versatile and grand engagement ring, a brilliant symbolic gesture of how love can capture the heart.